Visit the Museums On The Square in downtown Waynesville! On the National Register of Historic Places! 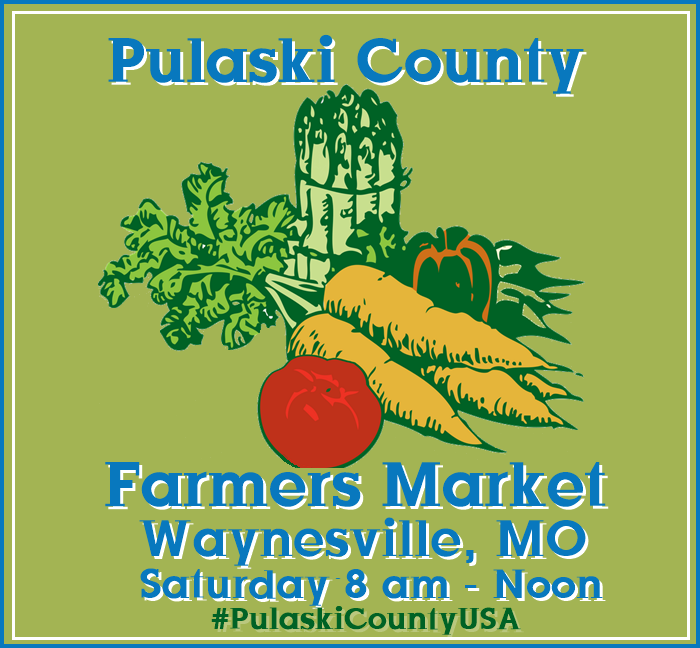 Pulaski County Farmer’s Market is held year round in downtown Waynesville! 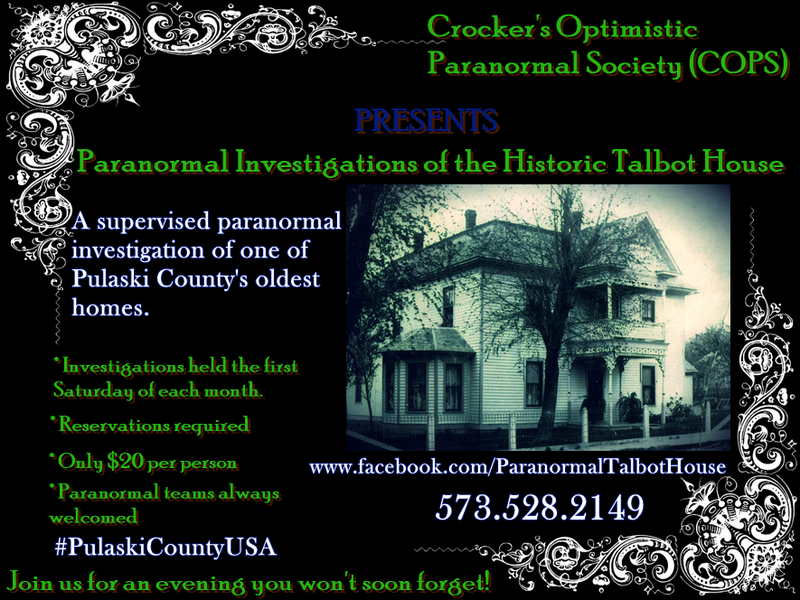 Paranormal Investigations of the Historic Talbot House are offered year round. Reservations fill up quickly! Last week, 36 members of Citizens Security Bank Horizons Club from Bixby, Oklahoma traveled to Pulaski County, Missouri for a “Fun, Fort, & Fall Foliage” tour. The group enjoyed two jam packed days of Ozark adventure. After officially being welcomed to Pulaski County by the Tourism Bureau staff, with a reception complete with cookies, coffee, and juice at the Visitors Center in Saint Robert, the tour headed to Fort Leonard Wood for a lunch at one of the dining facilities and a guided windshield tour of the installation. Some of the highlights of the windshield tour included the Reception Battalion, the Main Exchange, Brigade Row on Iowa Avenue, Nutter Field House (built in 1942), Sapper Leader Course, and Training Area 244- also known as the “Million Dollar Hole” because of the value of the equipment kept on site that is used for training purposes. Citizens Security Bank Horizons Club first stop in Pulaski County, Missouri was the Visitors Center in Saint Robert. While on Fort Leonard Wood the participants visited Mahaffey Museum Complex. The museum is unique in that it is the only place in the country where you can visit three U.S. Army Branch museums in a single location. The complex houses the Military Police Museum, The Chemical Corps Museum, and the U.S. Army Engineer Museum. There is also a WWII Company area and a Historic Vehicle Park. The evening meal was another unique destination and experience- The Cave Restaurant & Resort is the nation’s only restaurant inside a cave! Group members remarked that the view overlooking the Gasconade River was stunning and that dinner was “two thumbs up”. 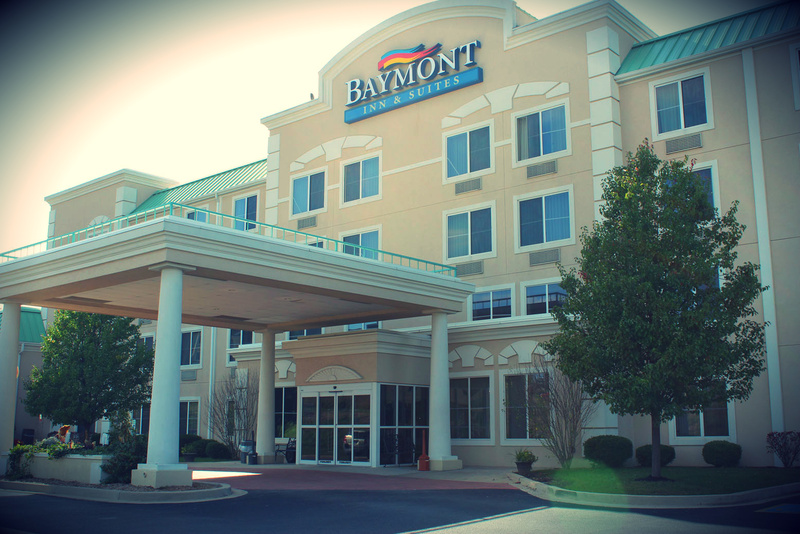 Host hotel, Baymont Inn & Suites in Saint Robert, exceeded expectations. The complimentary hot breakfast was especially well received. The waffles and biscuits ‘n gravy were just what these adventurers needed to prepare for a busy day! 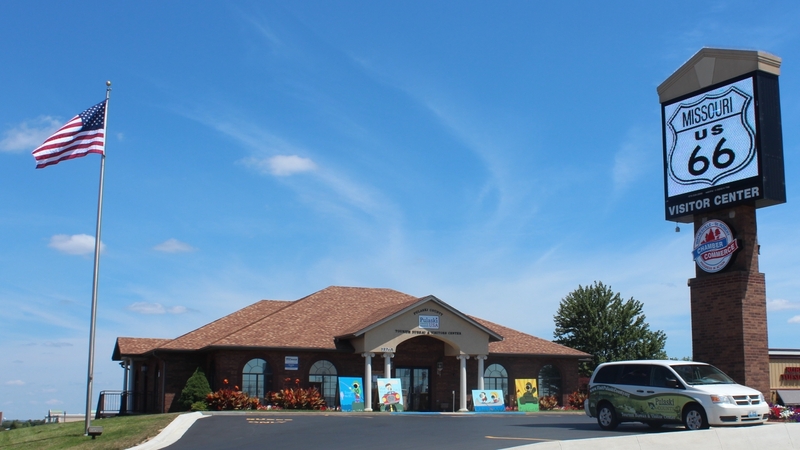 Baymont Inn & Suites in Saint Robert, exceeded the expectations of Citizens Security Bank Horizons Club. The Bank Club’s second day in “Pulaski County USA” kicked off with a guided tour of Route 66 with local historian Terry Primas. Primas described points of interests and told stories of the section of the old Mother Road that runs between Devils Elbow and Waynesville. They were able to see alignments of the road that dated to the 1920’s, 30’s, and 40’s. The tour traveled through an area that has been described as the most scenic section of Missouri’s Route 66. The bluffs above the old steel bridge in Devils Elbow looked like a postcard- and sure enough, they had indeed been the backdrop for many postcards of the area! 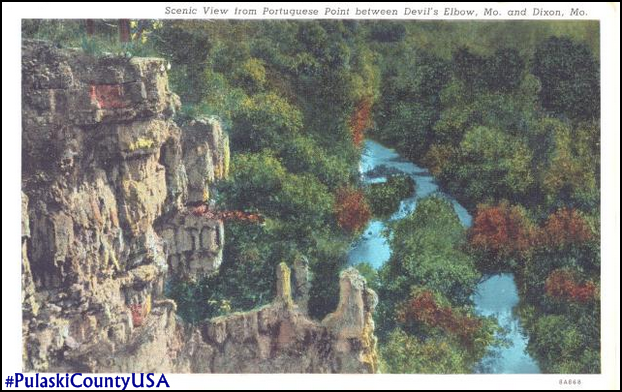 A vintage postcard depicts the scene that can be found at Devils Elbow on Route 66 in Pulaski County, Missouri. Ready to stretch their legs, the tour group headed to a fabulous lunch at Hoppers Pub on the Square in Waynesville. Recharged and refreshed, they were ready to explore the 1903 Courthouse Museum, Old Stagecoach Stop, and downtown area. The Courthouse Museum is housed in what was Pulaski County’s Courthouse from 1903 until 1989. Designed by Missouri State Architect Henry H. Hohenschild, the upstairs courtroom is in its original condition. The craftsmanship has withstood the test of time and some folks have commented that one can almost hear attorneys arguing cases from the past. Denise Seevers, Museum Curator, told the visitors of a murder that took place in the building in the 1930’s. She also told of bullet holes on the exterior of the building that are scars from a bank robbery that occurred in 1917. The citizens tried to fight the bandits off from the courthouse area and the bad guys shot back! Citizens Security Bank Horizons Club (Bixby, OK.) members chat outside of Pulaski County Museum in downtown Waynesville, MO. The Old Stagecoach Stop is a fascinating building. Listed on the National Register of Historic Places the Stop has served as a tavern, Civil War hospital, and hotel. 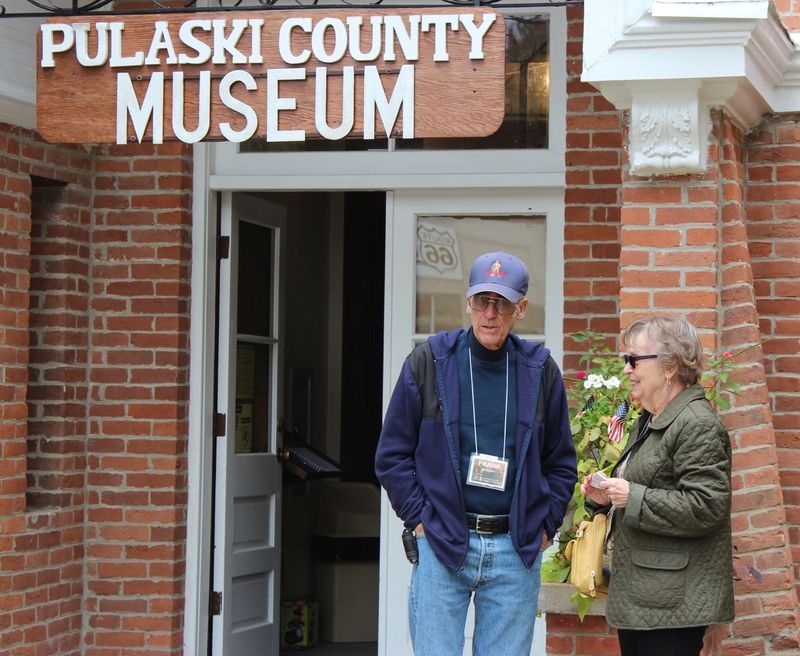 It is one of Pulaski County’s oldest buildings and its museum is arranged by time period- each room depicting an era of the buildings history. Old Stagecoach Stop Museum & Foundation President Jan Primas and Jeanie Porter guided the group through the building while explaining its past, significance & importance. 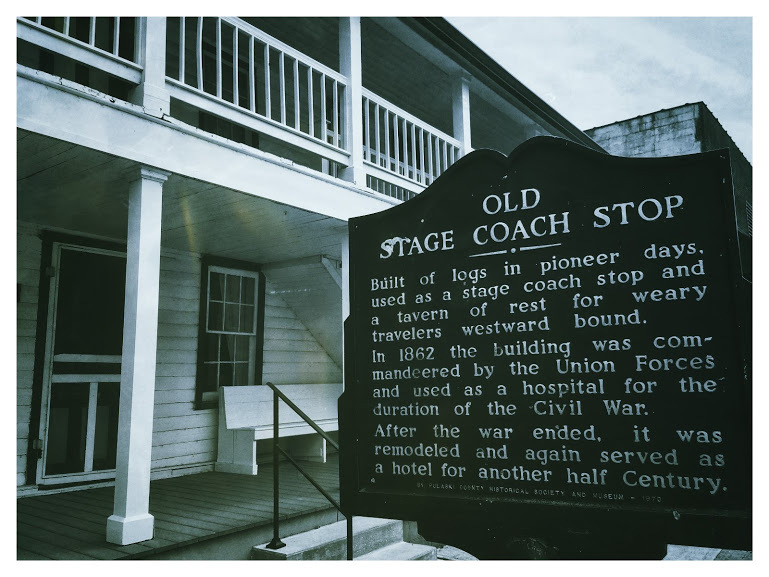 The Old Stagecoach Stop in Waynesville, MO has a lot of stories to tell! Photo by Laura Huffman. The club enjoyed free time in downtown Waynesville and members wandered to historic sites and shopping opportunities. 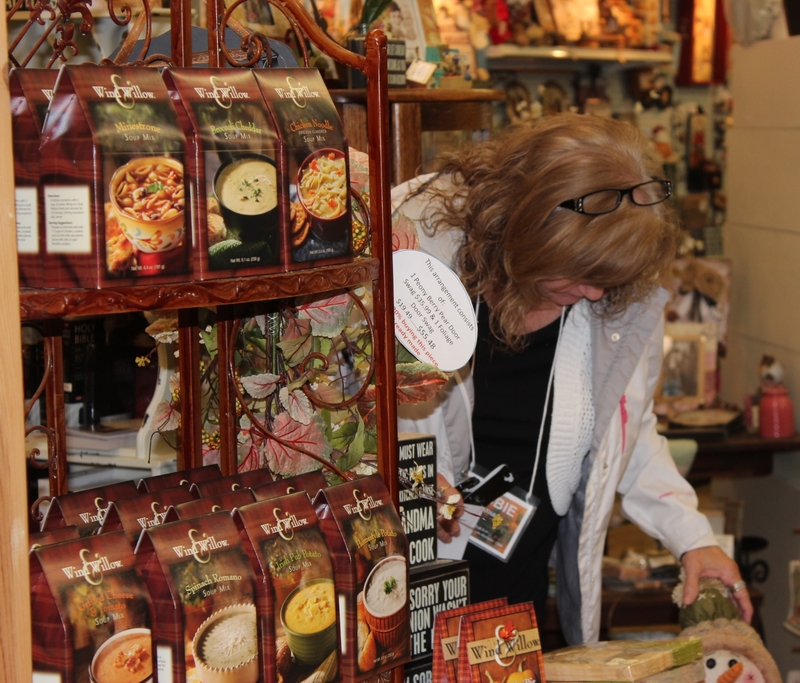 Several souvenirs were purchased at Lost In The Woods Antiques & Collectibles, Seda’s Gift Shop, Talbot House, Just Because, Eircil’s Jewelry, and at the gift shop inside Paradise Deli– a German restaurant. Tour members also sampled local flavor at Purn’s Thai Kitchen, Sugar Shack, I Love Ice Cream, Route 66 Candy Shoppe, and Cellar 66. Cellar 66 hosted a wine tasting- and it was a hit! The group also discovered Waynesville Gun & Pawn and Odyssey Scuba. A dive shop in landlocked Pulaski County seemed odd to them until they found out that nearby Roubidoux Spring is home to a large underground cave system and that the area is known for its cave diving opportunities. A member of Citizens Security Bank Horizons Club (Bixby, OK.) browses at Seda’s Gift Shoppe on the Square in downtown Waynesville, MO. 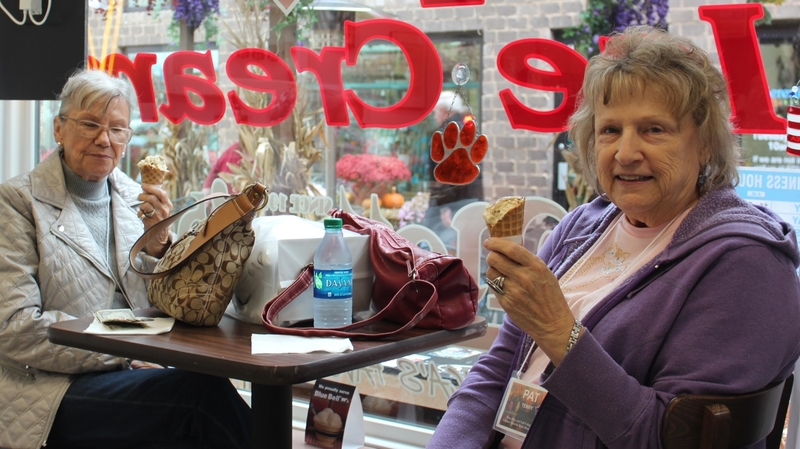 Participants of Citizens Security Bank Horizons Club ” “Fun, Fort, & Fall Foliage” tour enjoy a sweet treat at I Love Ice Cream in downtown Waynesville. 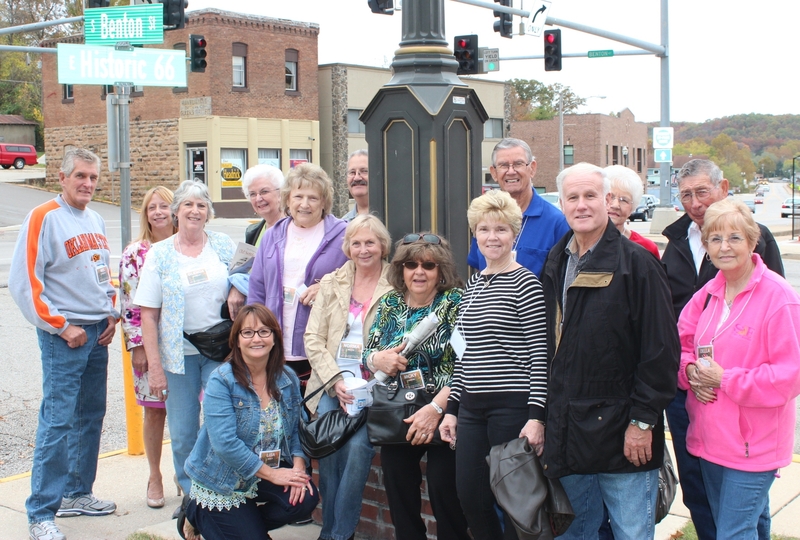 Members of Citizens Security Bank Horizons Club (Bixby, OK) pose at the corner of Historic Route 66 in downtown Waynesville during their “Fun, Fort, & Fall Foliage tour. The day’s activities concluded with a sumptuous meal at destination restaurant Di Trapani’s Italian Bistro. The drive to the restaurant on Highway 28 treated passengers to a glorious splash of Ozark color, but that was nothing compared to the views from the dinner tables. The food, the view, and the delightful company of tour companions made this the perfect finale to the two days of “Fun, Fort, and Fall Foliage” tour to Pulaski County, Missouri. Destination restaurant, Di Trapani’s Italian Bistro overlooks Portuguese Point of the Gasconade River in the beautiful Ozark Mountains. Our Certified Travel Industry Specialist will assist with many aspects of the planning process including customized itineraries. Contact Karen Hood today! 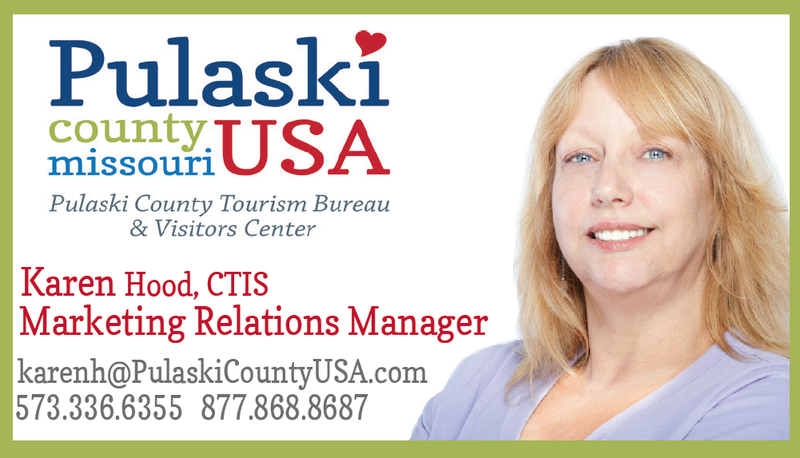 Call Karen Hood to arrange your group tour to Pulaski County USA! The Roubidoux Bridge, a five span concrete arch bridge, in Waynesville on historic Route 66 spans Roubidoux River and was constructed in 1923 to coincide with the, at the time, new Highway 66 that connected Chicago to Los Angeles. 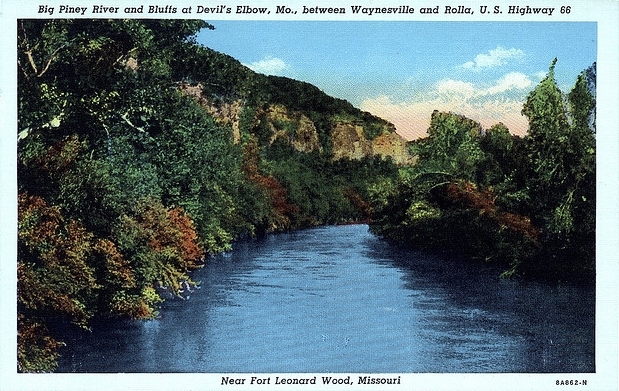 It was widened in 1939, before Fort Leonard Wood was conceptualized. Today’s visitors to Pulaski County USA can still travel across this original Route 66 bridge. It may be a small town, but Dixon knows how to attract attention. Looking for the perfect day trip to gain a little relaxation or perspective? Why not try a scenic overlook that attracts artists, photographers and nature lovers? Your refuge lies just north of Interstate 44, where Dixon blends nature’s beauty, outdoor recreation and a welcoming community. 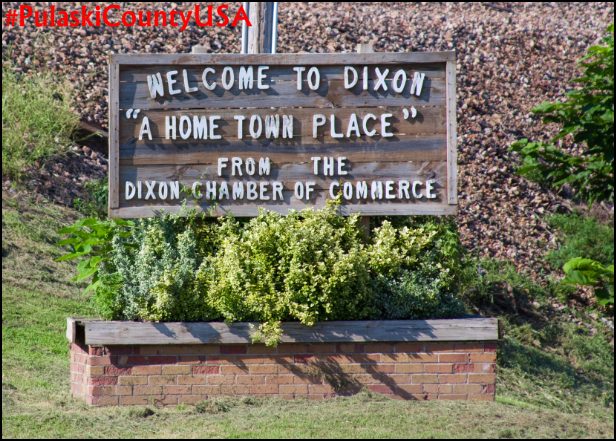 Dixon is home to some of Pulaski County USA’s best camping, whether you’re pitching a tent or own an RV. Soak up the sun on the Gasconade River as you paddle its waters in a canoe. Golfers can work on their handicap on the beautiful nine-hole golf course. An afternoon at Portuguese Point provides an extraordinary view of the Missouri landscape. Formed by two large rock formations 400 feet above the Gasconade River, the surrounding valley that once provided land for cattle and sheep farmers is now an inspiring perspective for artists and photographers. Vintage postcard image of Portuguese Point. Portuguese Point has inspired artists, photographers, and nature lovers for generations. Kayaking and Canoeing are popular activities on the Gasconade River. Photo courtesy of Boiling Spring Campground. 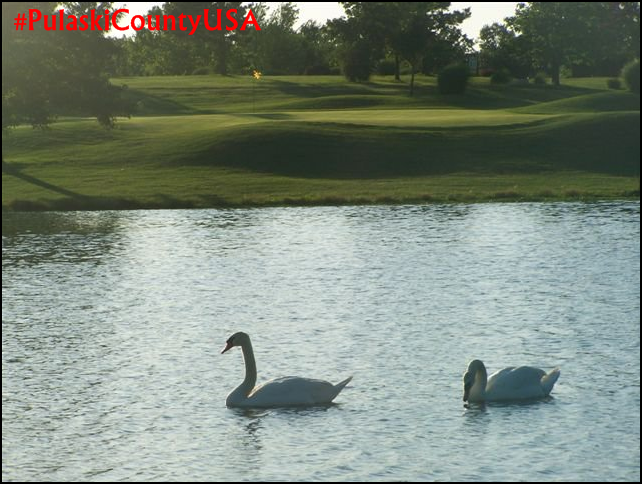 Hit the links at Oak Hills Country Club’s 9 hole golf course. Photo courtesy of Oak Hills Country Club. If you’re fortunate enough to be in town during one of our annual festivals, stop by and see why Dixon’s hospitality is unparalleled. 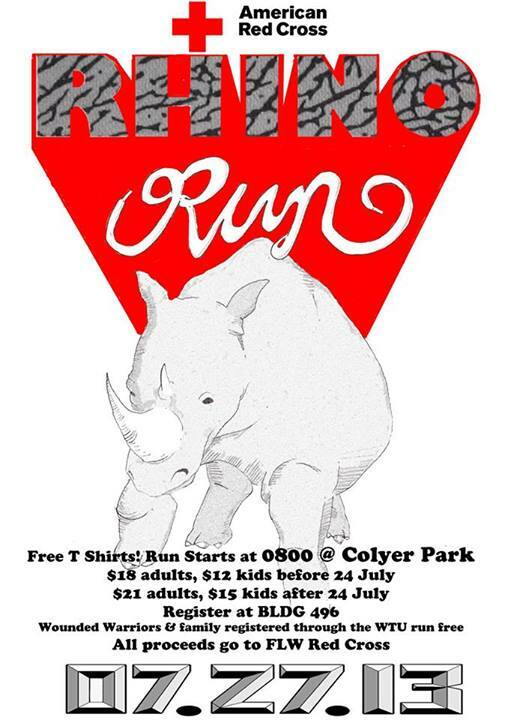 Dixon’s annual Cow Days Festival is sure to please and you could walk away as the proud owner of a cow! This annual festival shows off all the things that make Dixon both timeless and progressive. 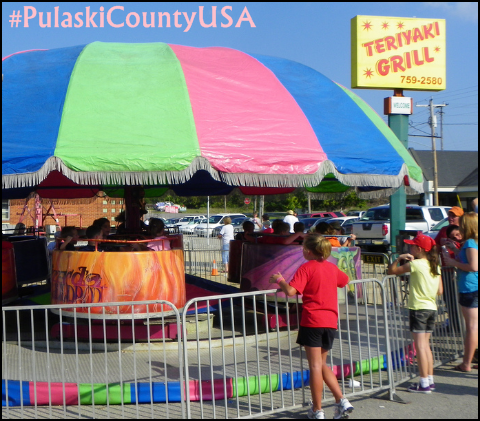 Dixon is the “Branson” of Pulaski County. Nationally recognized, and local talent, are both showcased at Music In The Barn and Missouri Festival Park. Dixon’s Cow Days is a family friendly street festival; it’s roots go back to the 1920’s. Photo courtesy of Dustin Holmes.